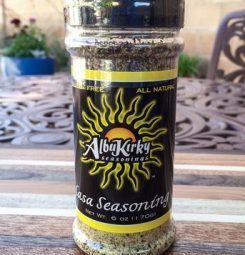 AlbuKirky Seasonings | Patio and Hearth Co.
More AlbuKirky Seasonings Available In Store! 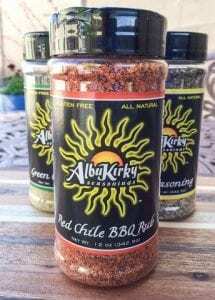 This delicious rub is the seasoning base used in both of our sauces. 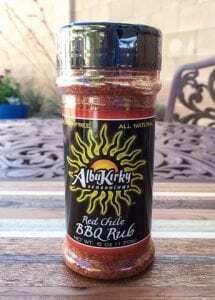 Use it to season pork, ribs, or chicken before you smoke, then finish with one of our sauces about 30 minutes prior to pulling it off the heat. You’ll be the hero of the grill! My two loves? 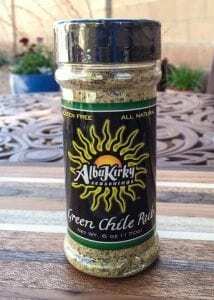 Green chile and BBQ. This blend contains the best of both worlds and has been specially crafted to enhance the flavor of any dish. 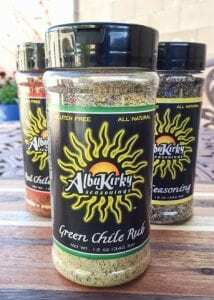 Particularly excellent for grilling pork, fish and poultry. It will dazzle the taste buds when added to grilled corn on the cob, and don’t overlook the zen-like transcendence when paired with hot buttered popcorn. Add it to your next meal and prepare to be showered with accolades. 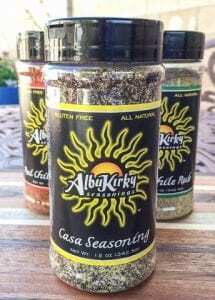 Showcase the beefy flavors of a special cut of steak; use it on salads, potatoes, roasted veggies, or sprinkle it on lightly buttered bread and create the best grilled cheese you’ll ever have the pleasure of devouring. You’re welcome! 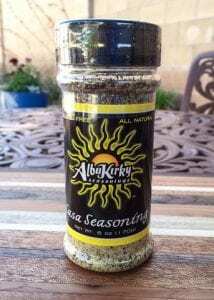 Inquire about AlbuKirky Seasonings using the form below.